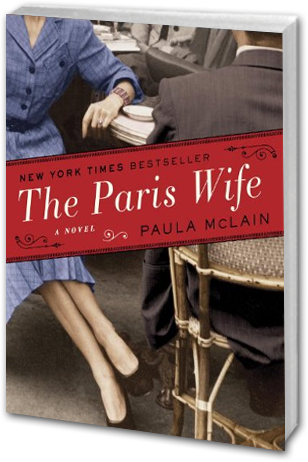 A deeply evocative story of ambition and betrayal, The Paris Wife captures a remarkable period of time—Paris in the twenties—and an extraordinary love affair between two unforgettable people: Ernest Hemingway and his wife Hadley. In Chicago in 1920, Hadley Richardson is a quiet twenty-eight-year-old who has all but given up on love and happiness—until she meets Ernest Hemingway and finds herself captivated by his good looks, intensity, and passionate desire to write. Following a whirlwind courtship and wedding, the pair set sail for Paris, where they become the golden couple in a lively and volatile group of expatriates that includes Gertrude Stein, Ezra Pound, and F. Scott and Zelda Fitzgerald. But the hard-drinking and fast-living café life does not celebrate traditional notions of family and monogamy. As Hadley struggles with jealousy and self-doubt and Ernest wrestles with his burgeoning writing career, they must confront a deception that could prove the undoing of one of the great romances in literary history.